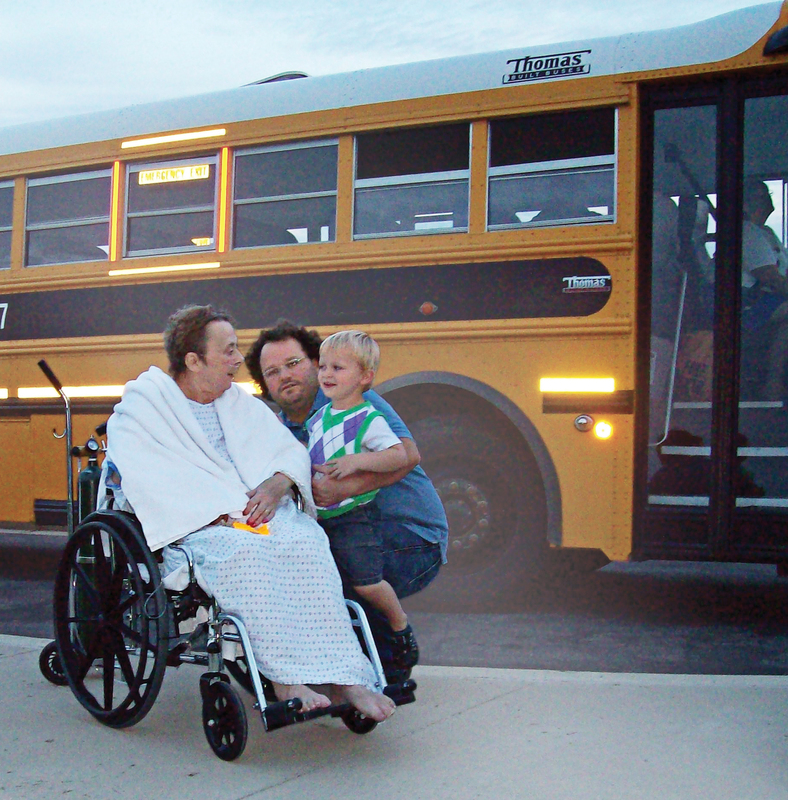 One of our favorite bucket-list stories–or any kind of story!–is about a loving grandmother named Nancy. Nancy and her husband Skip had nearly 40 years of history together when she learned she had lung cancer in June 2009. By Christmas, she knew she wasn’t doing well and that she had little chance of recovery. Nancy and Skip were proud parents and grandparents. They loved living in Berea, Ky., and being close to their family, making memories and sharing milestones. And one of Nancy’s very favorite milestones came each fall; she loved watching her grandchildren get on the bus for the first day of school each year. In fact, it was big for her when her own children were young, too. In that winter of 2009 as Nancy, a former nurse, coped with the knowledge that treatments weren’t helping, her thoughts turned to her youngest grandson, Deacon. She told a close friend, Carol, that her one big hope was to hang on long enough to see Deacon step on that school bus for the first day of school. “I can’t begin to describe how important this was to her,” says Carol. Nancy and her family made it through that winter, the spring, and into the next summer. It seemed she might get her wish after all. But, around July, her condition deteriorated quickly. On July 29, 2010, she was admitted to the Hospice Care Plus Compassionate Care Center for end-of-life pain and symptom management. The nurses and the rest of the hospice team went to work to get her pain and symptoms under control so that Nancy would be comfortable. Then, the team talked with the family about Nancy’s prognosis. She was not expected to live long, and would likely not leave the Compassionate Care Center. Hospice staff are very aware that comfort and peace are about more than just physical pain and symptoms. The entire team—nurses, aids, chaplains, social workers, and more—work together to get to know the patient and the family, to better understand what’s needed to bring the most peace to everyone. This was certainly the case for Nancy. Nancy’s physical symptoms, including her pain, were under control. Still, she was agitated. She didn’t seem at peace. Her beautiful family and her close friend Carol thought they knew why. Carol, Skip, and Nancy’s Hospice Care Plus team took action. They contacted Skip Benton, director of transportation at the Madison County Board of Education. Explanations were given. Plans were made. The next evening, July 30, just before 8 p.m., Nancy’s nurse wheeled her outside to the front of the Compassiontae Care Center. Deacon was standing there, all dressed up for the first day of school. Seconds later, a big yellow school bus rounded the bend toward the Center. The driver flashed the lights and extended the safety bar as the bus approached the Center, just as she would at any other bus stop. She pulled up to where Deacon waited, right next to his Nana’s wheelchair. When the driver opened the doors, Deacon hugged his Nana, boarded the bus, and waved to her from the front seat as the Madison County school bus eased away from the curb. When the nursing staff got her back into bed, Nancy told Skip, “I am so happy I got to see that.” She drifted into a state of semi-consciousness immediately afterwards. Those were her last words. She passed peacefully moments later, less than 12 hours after watching her youngest grandson board the school bus for the first time. 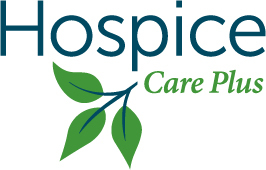 All of us at Hospice Care Plus would like to thank Skip, Carol, Deacon, and Nancy’s entire family for allowing us to share their beautiful story. Special thanks also to the compassionate, wonderful people with Madison County Schools and its Board of Transportation for their willingness to partner with us in doing whatever it took to help one special Nana die in peace.